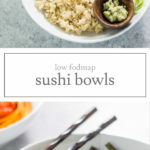 Low FODMAP Sushi Bowls are filled with brown rice, smoked salmon, nori, and low FODMAP veggies. Easy to toss together quickly, enjoy this on a busy night instead of takeout. Bowls are such a great meal idea! They’re colorful. They’re customizable. And, they’re really a complete meal-in-one. 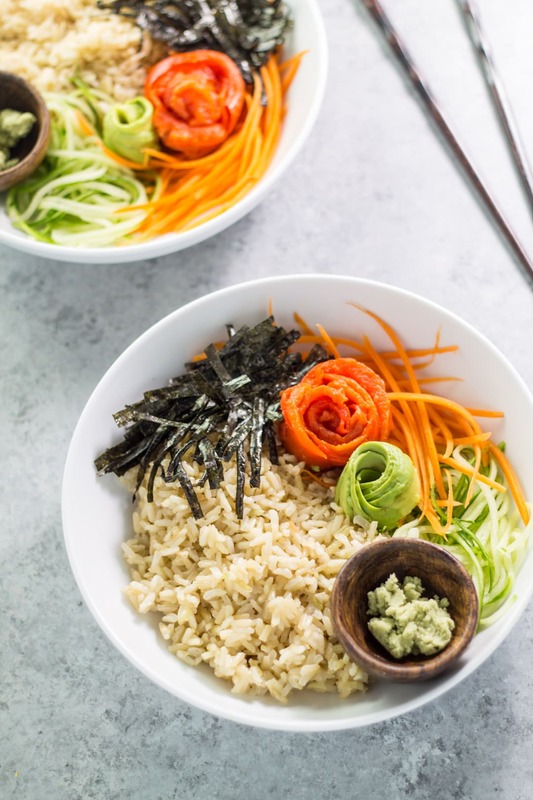 Whenever I’m making a bowl-type meal like these Low FODMAP Sushi Bowls, I like to set out a variety of ingredients so that everyone can build their own bowl. In a medium bowl, whisk together rice vinegar and sugar. Add brown rice and toss to coat. Divide rice among four bowls. 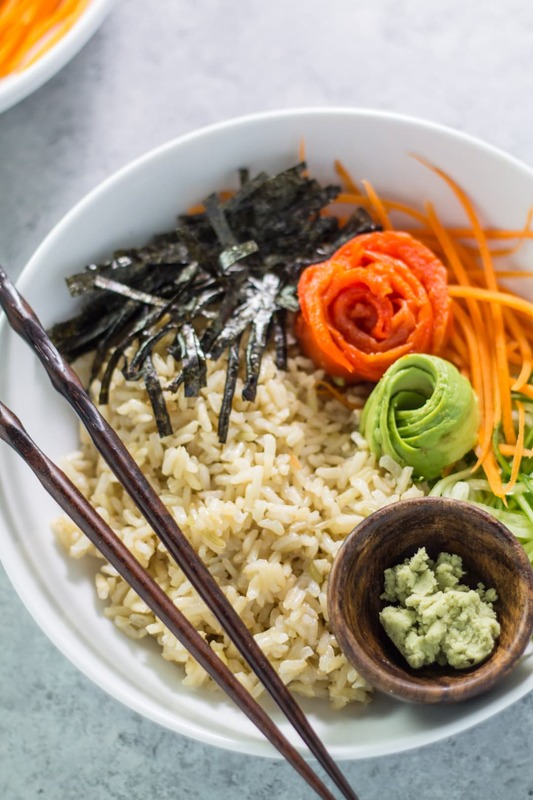 Top each bowl with ¼ each: salmon, cucumber, carrot, avocado, and nori. Set aside. In a small bowl, mix together wasabi and water until paste forms. Add mayonnaise and stir until well combined. Drizzle over bowls. Top with sesame seeds and serve with tamari. Avocado: A low FODMAP serving is ⅛ avocado or 20 grams. It looks delicious.How much is “a packet of smoke salmon”? Looking foreword to try the recipe. Thanks, Louise! I find that the packets of smoked salmon are usually around 4-6 oz. each. Thank you Rivaria! It’s one of my favorite easy weeknight meals!